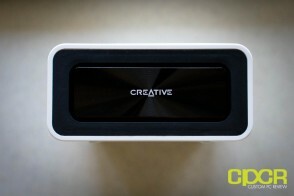 While the Creative Sound Blaster ROAR was already quite impressive, Creative has spent the past few years refining their product, which ultimately culminated in the new Creative Sound Blaster ROAR 2, which retains pretty much the entire Sound Blaster ROAR’s featureset yet comes in at a package 20% smaller and slightly lighter than the original. 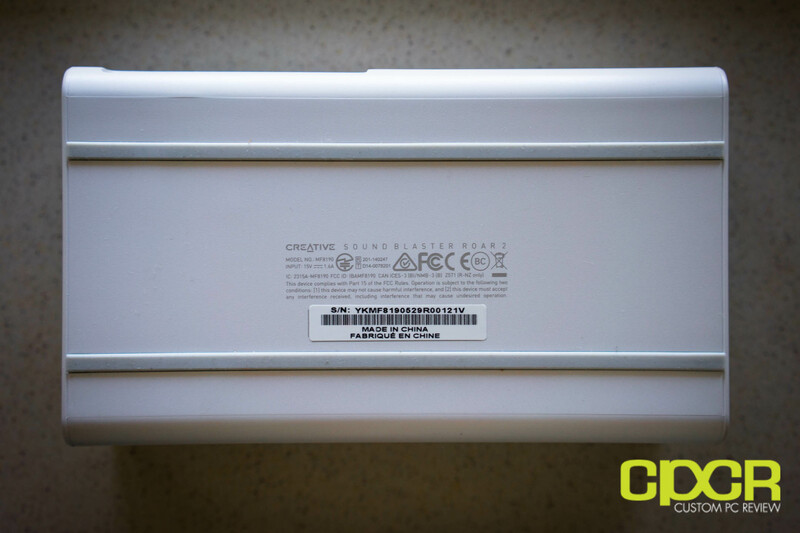 Looking at its specifications, there doesn’t seem to be a huge difference between the original ROAR and the new one… and there really isn’t. The biggest difference is the redesigned enclosure which is slightly smaller and slightly lighter. Does it perform just as well as the original? Let’s take a closer look! 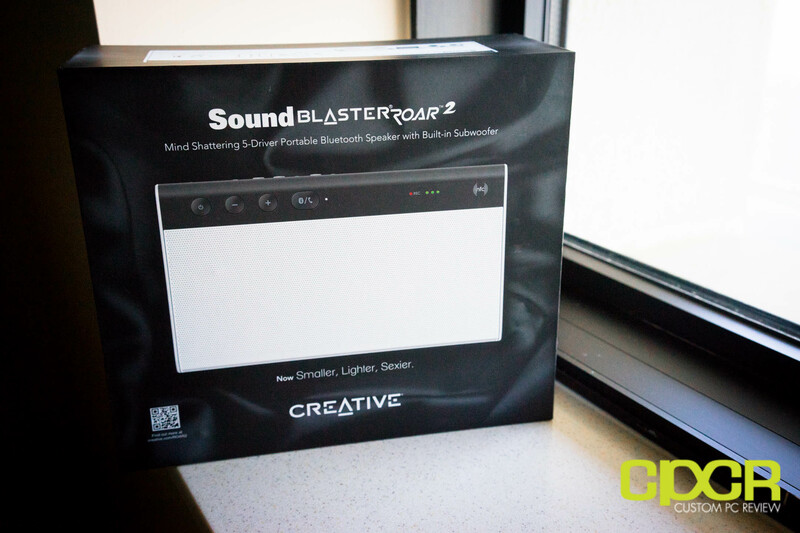 Here’s a look at the packaging for the Creative Sound Blaster ROAR 2. 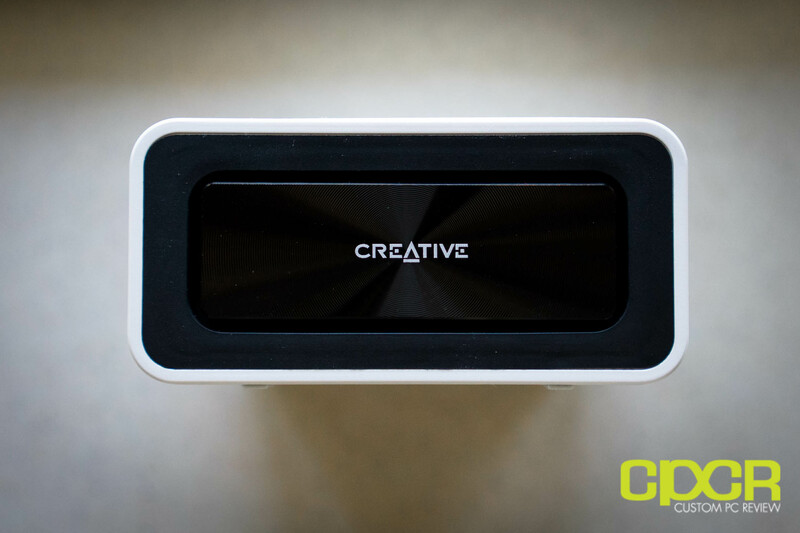 … and the Creative Sound Blaster ROAR 2 itself. 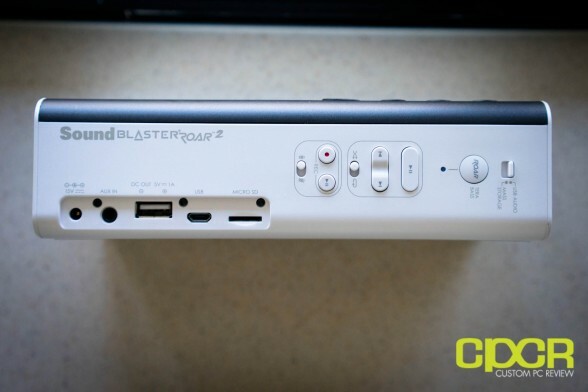 While the original Creative Sound Blaster ROAR was small, the Creative Sound Blaster ROAR 2 takes it to another level by shrinking the original design by 20%, making the device just 2.0″ tall, 7.4″ wide, and 4.3 inches deep. Despite the reduced physical size the ROAR 2 retains the same internal components as the original ROAR including the same 5 drivers, 2 amplifiers, and a 6,000 mAh battery. 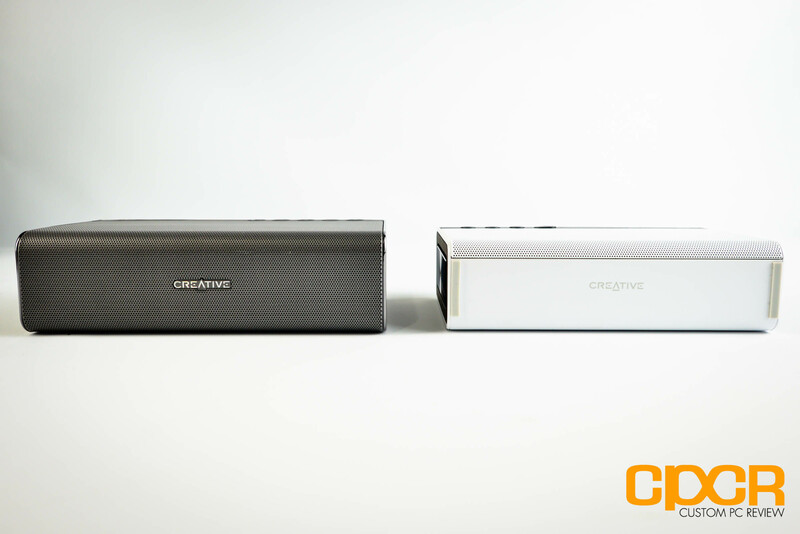 Here’s a side by side look at the Creative Sound Blaster ROAR 2 against the original Sound Blaster ROAR. Unlike most portable speaker designs (and even most cheap, desktop speaker designs), the Creative Sound Blaster ROAR SR20 uses a bi-amplified (two amplifier) design which dedicates an individual amp to both the high and low frequencies. This is different from most portable speakers which use a single amp design. 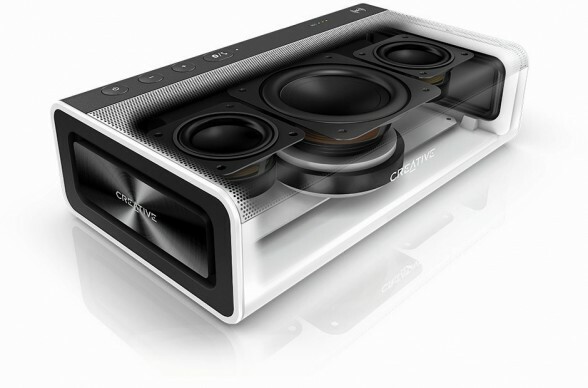 While this is significantly cheaper to produce, it also results in audio distortion when both the low and high ends are driven simultaneously at high volumes. 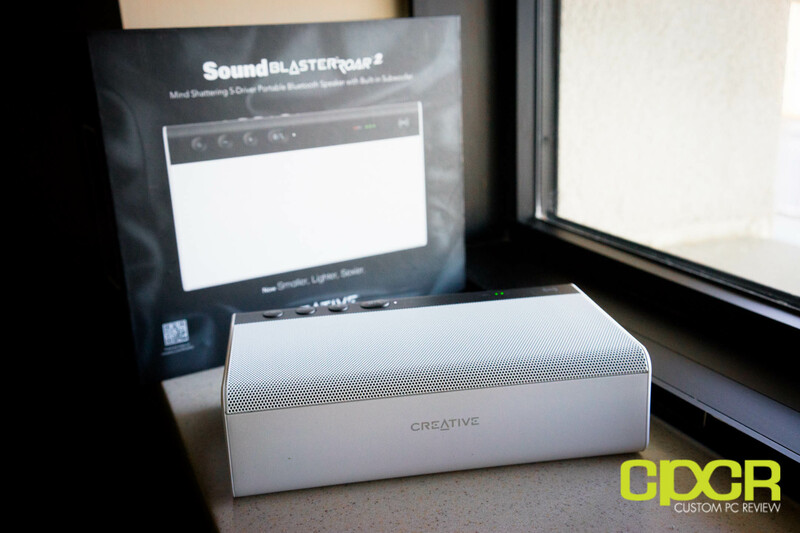 In the original Creative Sound Blaster ROAR, Creative employed the use of two front facing 1.5″ Mylar high frequency drivers, a 2.5″ long throw upward facing midrange/bass driver and two side firing radiators to produce its incredible room filling sound. In the Sound Blaster ROAR 2, Creative re-purposed the front firing drivers to fire upwards, saving space while still keeping the same powerful audio hardware. Furthermore, the passive radiators on each side are now unobstructed which is pretty cool to look at as they vibrate during operation. Additionally, just like the original Sound Blaster ROAR, the shape of the Sound Blaster ROAR 2 is fairly well balanced to prevent rattling or shaking during operation. With three drivers firing upwards, the force of the drivers firing forces the unit downwards onto the surface its sitting on which makes it very suitable to be used at high volumes. Here’s a closer look at the top of the Sound Blaster ROAR 2. 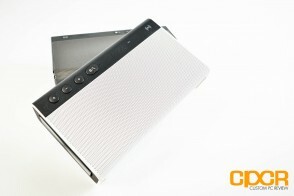 Here we get the power button, volume up/down, and Bluetooth/call. There’s also a 3-LED battery indicator as well as a NFC pairing area for pairing with NFC enabled devices. 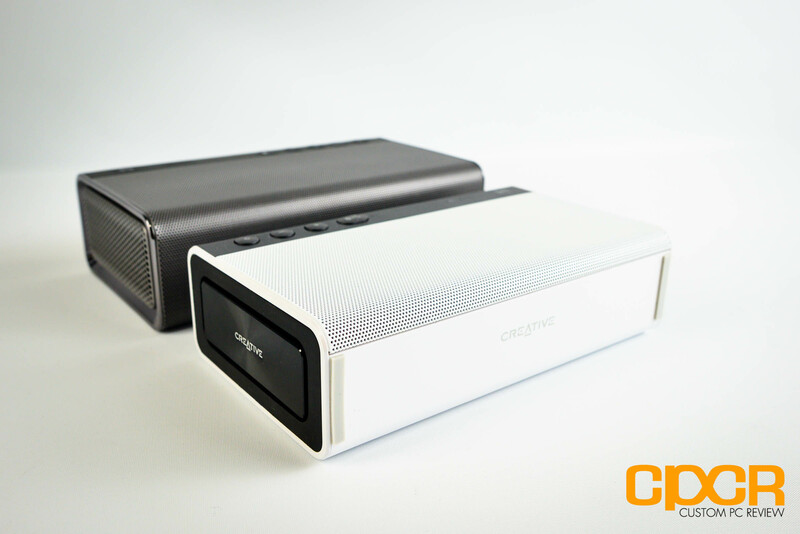 A new feature for the Sound Blaster ROAR 2 is that it’s designed to be used in either a horizontal or vertical orientation. Whereas a horizontal orientation projects sound upwards in a more balanced, room filling manner, a vertical orientation better projects sound in one direction although this does come at a minor cost in stability. 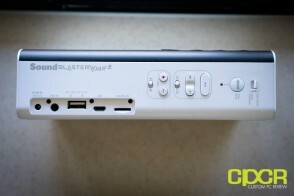 At the rear of Sound Blaster ROAR 2, we get DC power in, aux in, DC Out (for charging mobile devices), a micro USB port, a microSD slot, sound recording buttons, audio playback buttons, a switch for switching between USB audio mode and mass storage mode (to switch between audio playback or microSD card reader functionality), and a ROAR button (to switch between normal, Terabass, or Terabass + ROAR mode). These buttons are used for playing music from the microSD card on the ROAR 2, recording sound onto the ROAR 2, charging USB devices, etc. These features have already been covered in the review for the original Sound Blaster Roar so refer to the review of the Sound Blaster ROAR for more details. Given the similar internal electronics between the Sound Blaster ROAR 2 and the original Sound Blaster ROAR, practically all functionality is nearly the same as the original as well. Pairing the device is still quick and painless while intuitive voice prompts guide you through every step of the pairing process. 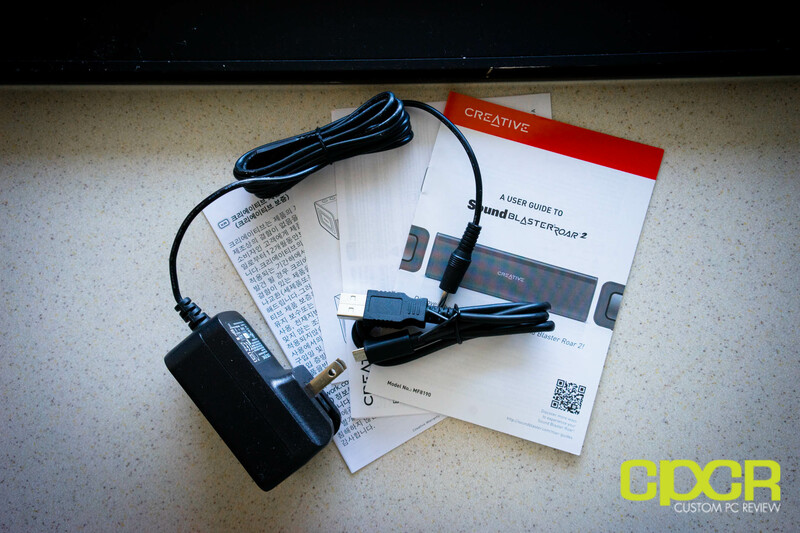 Users with NFC enabled devices can also easily connect to the Sound Blaster ROAR 2 by simply bringing their device near the unit. Just like the pairing process, sound quality between the ROAR 2 and the original is relatively similar as well. Creative has slightly tuned the sound signature to provide a more balanced listening experience on the ROAR 2, which is a very welcome change. It’s still slightly tuned to emphasize the highs and lows, but it’s more balanced compared to what we typically get from most Bluetooth speakers in this category making for quite an enjoyable listening experience. 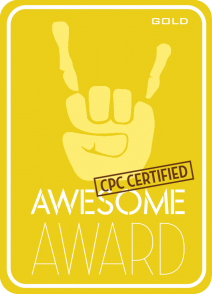 For those more used to the bass heavy sound signature of more typical Bluetooth speakers, Creative has added what they call TeraBass mode, which will bring up the bass quite a bit making music sound muddy and overly bass heavy. With its bi-amplified design, the Sound Blaster ROAR 2 is designed to easily fill mid to large sized rooms with plenty of sound. Whereas most Bluetooth speakers tend to start distorting at higher volumes, the Sound Blaster ROAR 2 is significantly more resilient to distortion. Furthermore, those who need an additional sound boost can utilize the ROAR function which slightly boosts the volume even more. For most use cases, the Sound Blaster ROAR 2 should have more than enough output. 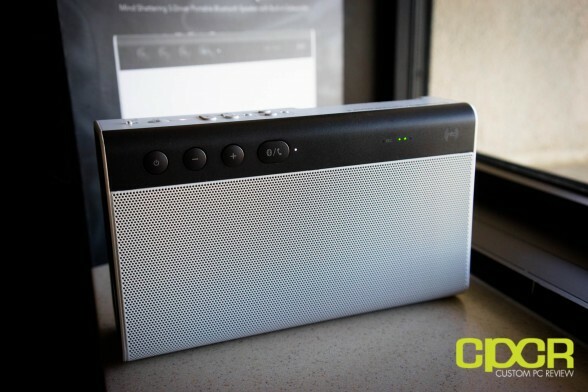 Currently, the Creative Sound Blaster Roar 2 can be found online for ~$140, which is relatively inexpensive for a premium Bluetooth speaker of this caliber. Competing products such as the JBL Xtreme or the Jawbone Big Jambox cost significantly more yet are larger, heavier, and don’t provide much better sound quality nor sound output. The Creative Sound Blaster ROAR 2 is truly in a league of its own with its small size, relatively light weight, and bi-amplified design that simply can’t be matched by anything on the market. That being said, it’s still a portable Bluetooth speaker, so if you’re looking for top notch sound quality, it’s still outclassed by speakers such as the Audioengine B2. Overall the Creative Sound Blaster ROAR 2 is an excellent addition to the Creative Sound Blaster ROAR lineup, bringing solid improvements to an already excellent product. 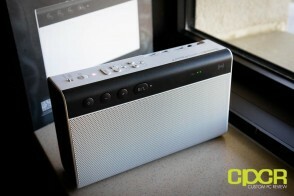 Those who own the original Sound Blaster ROAR probably won’t find much of a reason to upgrade to the ROAR 2, but those on the market for the best portable Bluetooth speaker will find the Sound Blaster ROAR 2 difficult to top. Highly recommended!